The House Energy and Commerce Committee recently released a policy paper entitled “Prosperity at Home and Strengthened Allies Abroad – A Global Perspective on Natural Gas Exports.” Over the past year, our committee has analyzed the effects of exporting U.S. liquefied natural gas (LNG) through a series of hearings and an international forum. This report is the culmination of our efforts, detailing the economic and geopolitical benefits of U.S. LNG exports and outlining the actions necessary to realize them. Through our analysis, we found that LNG exports offer the opportunity for the U.S. to improve the domestic economy while providing our allies and trading partners an affordable and secure energy source. America’s abundant natural gas resources can also be used to launch strategic international energy diplomacy and geopolitical stability around the world. But this window of opportunity will not remain open indefinitely and we have concerns over the Department of Energy’s slow review process of LNG export applications. To date, DOE has approved only six applications to export LNG to countries without a free-trade agreement, while 24 applications are still pending. In the absence of timely approvals, our allies may be forced to look elsewhere for energy supplies, investments may dry up, and America could see increased competition from other LNG exporters. To ensure the U.S. can maximize its energy advantage, we have asked DOE to approve all remaining export licenses by the end of the year and, if necessary, we may consider legislative solutions to reform the process and accelerate approvals. A copy of the committee’s report, “Prosperity at Home and Strengthened Allies Abroad – A Global Perspective on Natural Gas Exports,” can be found HERE. Click HERE to view a one pager on the report’s findings and click HERE to view frequently asked questions about the report’s findings. What are the benefits of increasing U.S. LNG exports domestically and abroad? What are the geopolitical implications of increasing U.S. LNG exports? What are the current challenges to expanding U.S. LNG exports? What can we do to ensure the U.S. maximizes this opportunity? What are the benefits of increasing U.S. LNG exports domestically and abroad? What are the geopolitical implications of increasing U.S. LNG exports? What are the current challenges to expanding U.S. LNG exports? Congressman Fred Upton (R-MI) says nothing of the consequences to global climate change of exporting natural gas to other countries. The United States needs to keep carbon in the ground and instead focus entirely on scaling up domestic renewable energy projects like the recent launch of the world’s largest solar thermal power station in California’s Mojave Desert that will provide carbon-free electricity to hundreds of thousands of homes. It is the result of the massively successful Department of Energy loan guarantee program that is also responsible for one of the world’s largest land-based wind farms in Eastern Oregon. If you don’t take the global warming impact of carbon emissions into account when discussing LNG then you are not doing your duty and are doing a disservice to the American people and a viable planet for future generations. In light of the manufacturing renaissance in the U.S. due in large part to low natural gas prices, a bit of caution in exporting natural gas is prudent. Germany is noted for declining to pursue fracking in its lands, figuring it better to let the U.S. bear the environmental risks of that practice while they make manufacturing investments here to take advantage of the low energy costs. Americans are put to work in those manufacturing, chemical, and other energy-intensive industries. Fast-tracking export facilities aims to have it both ways, at risk of raising the price of gas that attracted those industries in the first place. What I don’t hear coming from Energy and Commerce is Energy Efficiency, use these resources efficiently. They want America to produce all the coal oil and natural gas as is possible, use it and or sell it. Is it all about money? What would be great to hear is How this is going to benefit America, and please do not forget the environment. Let’s not forget to consider the consequences. America in the past has been good at consuming the energy it needs for whatever it wants, and if a lot of this energy is wasted in the process, “Oh Well”. It’s time for a new model. Energy and Commerce is energy and money. It’s time to be wise with our energy so that it can make us more money. How much wasted energy is happening during the combustion of these fuels? There is a chimney on every combustion appliance, and leaving all these chimneys is hot wasted energy. This is what is going into our atmosphere. If there was nothing that could be done about it, that would be a whole different issue, but there are technologies and things that can be done to increase the efficiency of these combustion appliances. Increased energy efficiency = Reduced Emissions. America needs to continue to be the leader. America needs to focus at improving its fossil fuel energy efficiency, and then if it wants to sell it’s excess energy, do it with the stipulation that this energy gets consumed efficiently. The whole earth lives in this air space, and how “our” fuels get combusted anywhere on this earth will affect our environment as well. This can be put off till 2020 or 2030 or 2050, but every day that we wait improves what? Let’s not wait any more. America needs energy, and lots of it. So does the world. Lets focus on How Efficiently can these energy sources be consumed first, then become the wise energy provider to the world. Because of methane emissions, natural gas is perhaps the most dangerous of all fossil fuels in terms of global warming. And LNG is the worst way to use natural gas. In their most recent synthesis report released last fall, the Intergovernmental Panel on Climate Change (IPCC 2013) concluded that methane is now responsible for almost as much human-caused global warming as carbon dioxide (1 vs. 1.66 watt per square meter), and noted the need to consider the consequences of methane emissions at shorter time scales. At the scale of 10 to 20 years following release, methane is almost 100-fold more potent than carbon dioxide, meaning that even emissions of 1% or 2% of natural gas are truly damaging. For conventional natural gas, the latest science indicates emissions are probably in the range of 3.5% to 4% or higher (Miller et al, published in November 2013 in the Proceedings of the National Academy of Sciences). 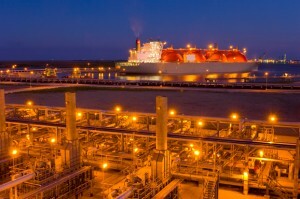 For LNG, carbon dioxide is emitted from the fuel needed to compress the gas, and methane is vented routinely from the storage tanks as the prime way to keep the gas in liquid form (referred to as “boil off” by the industry), an emission that is additive to that for conventional uses of natural gas. Far from being promoted, LNG should be banned because of this high methane emission rate. I have to register moderate disagreement on this one. I believe Dr. Howarth is right on the basic facts that he cites, but I don’t see them as fundamental issues. To be sure, the EPA should be enforcing stricter standards on methane leakage associated with all aspects of natural gas production and handling. But even at current emission rates — which are predominantly natural rather than anthropogenic — methane does not pose the same long-term threat as CO2. It has a relatively short residence “half life” in the atmosphere of somewhere around 6 years (IIRC). While it lasts, it’s an extremely potent GHG, but it doesn’t last all that long. The real threat associated with methane is a drastic increase in the “natural” release rate as a result of global warming. The amount of methane currently sequestered in and under frozen arctic tundra and permafrost and in cold seabed clathrates is enormous. As the arctic warms, the release rate has been rising. Unfortunately, it has the potential to rise to levels that are hundreds to thousands of times greater than we are seeing today. At that point, leakage from natural gas operations will be the least of our problems. One quibble about LNG tankers: these days I believe they pretty much all use boil-off from the tanks to power their engines. Any surplus boil-off should be (and I believe is) flared, rather than released straight into the atmosphere. As to the energy used to produce LNG from methane, it’s worth noting that there is technological fix that seems worth pursuing. I don’t recall where I saw it, but there was a recent proposal to couple re-gasification of LNG at receiving terminals with production of liquid nitrogen. Methane and nitrogen have similar liquefaction temperatures, so a counterflow approach could be quite efficient. Instead of returning empty after delivery of LNG, the tankers would return with full loads of liquid nitrogen. The liquid nitrogen would then be consumed at the LNG export terminal to reduce the capital and energy cost of producing the next load of LNG. Overall, I would expect this scheme to cut the energy tax for LNG operations by upwards of at least 80%. Validation of the concept would be a good candidate for DOE study. The light switches have to turn on, folks need to get from point A to point B, and goods have to be produced and brought to market. I don’t believe many will argue this. Changing the fuel mix is the focus. Today we’re doing what we can do to meet the need. Solar is gaining, wind is well along the way, and other carbon neutral technologies are in the works. Support those efforts by incentives, whether from government, academia, or private business, but as a partnership and not by edict. Nuclear generation has provided carbon-neutral answers but Japan’s tsunami brought progress to a standstill. That power demand has to be met by some fuel, LNG being the probable answer for time to come. Pipelines have an amazing safety record but the exceptions are dramatic. Industry will find a way to get goods to market and rail cars have filled the void. Not a better answer in my opinion. The pushback on fracking in general and in the northeast specifically has dissuaded associated infrastructure investment (pipelines again among others), yet the recent weather extremes have many in the NE clamoring for more capacity (build pipelines and get more gas). Does the answer change with the season? The interesting coalition against LNG export growth includes environmentalist and industry. The one wants elimination of another venue for carbon fuel distribution and the other wants to keep prices low so they can profit from cheap feed stock. Capping natural gas price (or any other alternative) stymies the market dynamics for alternatives. One can argue they are hurting their cause in the first instance and self-serving business opportunities in the second, but both aren’t allowing market forces to work. Static prices = status quo. Price differentials create an arbitrage that incentivize action. LNG, renewable energy, and environmental husbandry will find the best answers when they are developed unfettered from arbitrary rules that are unexpectedly changed. As my recent book (U.S. Energy Policy and the Pursuit of Failure, Cambridge U. Press 2013) shows, government attempts to manage energy markets has produced all sorts of perverse outcomes. There is a world market developing for natural gas and there will be world prices as there are for oil. There is no reason to exclude American gas producers from this market. The belief that government needs to help some industries at the expense of another is essentially a picking-winners notion. Governments are notoriously bad at that–as 40 years of U.S. energy policy has often demonstrated. In this instance (and most others), let the market decide. Professor Grossman’s book is, in fact, a wonderful source of insight about both the economics and the politics of US energy policy. It is a model of how fruitful it can be to apply concepts and approaches suggested by the new institutional economics to the analysis of contemporary policy issues. Everyone interested in energy policy (and in understanding why it has gone so badly astray) should read U.S. Energy Policy and the Pursuit of Failure. However we may stand individually on the issue of LNG exports, there are two central facts that we all should understand. The first is that the current “glut” of cheap natural gas with in North America is a temporary anomaly. The factors that have led to it have been well covered elsewhere, and I won’t try to rehash them here. But the bottom line is that to sustain production even at current levels — much less increase it substantially — the price will need to increase substantially. Best estimates are that $8.00 to $10.00 per million Btu is needed to justify drilling of new gas-only wells in shale formations that are already known to be productive for gas. (That’s compared to ~$3.00 / mmBtu a while back that kicked off the current enthusiasm, and the current price of ~$5.50.) Active rig counts have fallen, and new drilling is largely confined to formations that produce “wet” gas with high yields of more valuable condensate. In North Dakota, a lot of gas is being flared, both because the current price is too low to justify the cost of laying pipelines to the well heads, and because adding that gas to the market would further depress prices. So one way or another, the price of North American natural gas will be going up. The second fact is that world CO2 emissions are still rising, and are certain to continue rising for years to come. We are not remotely close to even stabilizing current emission levels, much less reducing them to the degree that will be needed to arrest global warming. I’m as unhappy about it as anybody, but realistically, the best we can hope for at present is to slow the rate of increase. Since a large part of the increase is from commissioning of new coal-fired power plants in China and elsewhere, one can’t say that exporting LNG would be a negative development. For the same capacity, modern gas-fired power plants are cheaper, cleaner, more flexible, and more efficient than coal-fired power plants. They emit roughly half the CO2 per megawatt-hour of generation. If they had the gas to fuel them, there is no question that China would be building gas-fired power plants rather than coal. As things stand, the best we can do for the environment — or the least bad — is to export as much LNG as we can to countries that are currently building coal-fired power plants. Yes, it will raise the domestic price of natural gas, but that’s a good thing. For starters, it will reboot gas drilling operations, and help to avoid the disastrous shortfall and extreme price overshoot that are certain to follow if we can’t quickly get to a more realistic gas price. It will also help to dispel the myth of “cheap gas forever” that currently weighs heavily against the progress of zero or ultra-low carbon alternatives. Last but not least, by making gas turbines a less attractive option for backing intermittent renewable energy, it will encourage the development and deployment of practical energy storage options. The latter are critically needed, if we are ever to achieve our ultimate goal of a zero-fossil-carbon energy economy. I want to register my agreement with some of Roger Arnold’s points, but disagree with others. I fully agree that cheap gas is a very temporary phenomenon. To produce shale gas is expensive, and continued production will not occur until the price is substantially higher than it has been on average over the past few years. The price is rising rapidly now in the US, due to high demand for heating in this cold winter. On the sources of methane, I disagree. Human activity is the major source of methane inputs into the atmosphere. The current global flux is approximately 570 teragrams per year, with 220 from natural sources and 350 due to humans. Of this 350, the fossil fuel industry is the largest source (at something in the range of 115 teragrams per year), and the natural gas industry is by far the largest part of that. Globally, animal agriculture is also a major source, releasing something in the range of 90 teragrams per year. In the US, the natural gas industry is by far the single largest source of methane release to the atmosphere. The issue of time frame is important: yes, methane stays in the atmosphere for only 12 years or so, while the influence of carbon dioxide extends more on the century scale. BUT, while in the atmosphere, methane is far more effective as a greenhouse gas. The work of Drew Shindell and others (published in Science 2 years ago) shows the urgent need to reduce methane emissions, even more than the need to reduce carbon dioxide emissions (although we really must reduce both). If society were to ignore methane and soot, and aggressively control control carbon dioxide, the planet will warm to 1.5 to 2 degrees C in just the next few decades. And at these temperatures, the possibility of releasing methane hydrates and clathrates becomes very real. On the other hand, if society were to ignore carbon dioxide and control methane and soot emissions, we buy ourselves several decades of cooler temperatures. This is because the climate responds more quickly to methane than to carbon dioxide. It is critical that we reduce both methane and carbon dioxide, and do so NOW. Thanks for quantifying the sources of methane emissions. I stand corrected. And I agree that methane emissions are high enough that, if we could reduce them significantly, it would buy us some time for getting CO2under control. Regarding residence time in the atmosphere for CO2 emissions, it’s a messy issue. The carbon cycle is complex, and there are large scale movements of carbon among various reservoirs on a range of time scales. Photosynthesis fixes carbon in biomass at a rate that would return atmospheric CO2 to pre-industrial levels in only a few years — if we could magically stop all decay processes that convert dead biomass back to CO2 and methane. We can’t do that of course, but that hasn’t stopped some climate change deniers from using the rate of photosynthesis to claim a residence time for CO2 emissions of only a few years. In my opinion, it won’t be long before we’re forced to resort to carbon capture and sequestration (CCS) or even carbon dioxide removal (CDR) to mitigate extreme warming. Sadly, it will probably require a few “freak” heat waves with death tolls in the 10’s of thousands to wake us up. Of all the above comments, Peter’s is the only rational advice that I found. THANKS! I would make a few points in favor of the House Energy Cttee. position. 1. The free market should be allowed to function, any attempt to hobble it will fail in the long run. It is called freedom. 2. There is plenty of nat gas in the ground in the USA, we cannot possibly run out of it in less than 100 years. 3. Nat gas is a cleaner, less polluting, and lower carbon fuel than any known or foreseeable future economic alternative. 4. Exporting this product will be economically and politically beneficial for the USA. Both domestically and internationally. It will create jobs! Lots of them. And it will bring money in. Help pay the national debt. 5. Exports will benefit global air quality by displacing coal generation. Nat gas price will be lower than coal in many areas of the world, and gas turbine combined cycle plants are cheaper to build own and operate. If the gas is available it will (obviously) displace coal. No free market will chose coal if gas is available. 6. Those who are truly in favor of limiting world wide carbon emissions cannot seriously prefer coal to gas if they understand basic power generation technology and economics. 7. We cannot rely on “renewables” or on some futuristic innovation. If one considers the huge amount of electric power required to support a prosperous society, most of the energy MUST come from gas, coal, or nuclear. If we withhold our gas from the world, they will use coal or nuclear….or they will find and develop their own gas. Let’s prosper by selling the gas. The Russians are already doing it. The issue of natural gas exports comes down to a choice about institutions. The NERA study commissioned by DOE indicates that allowing the market to determine export levels will produce significant net welfare gains. Market forces, the study explains, will steer resources to the highest value use. That being the case, what is the rationale for a DOE role? To be sure, prices do not reflect potential harm from greenhouse gas emissions occasioned by the use of natural gas. But, then again, they also don’t reflect the environmental gains from substituting gas for coal. Nor do they embody the national security gains from making the world less dependent on the likes of Iran, Russia, and Venezuela or the fillip that a freer export policy would give to the liberal global trade regime. No one has shown that the net effect of these unpriced factors is (1) negative, and (2) greater than the monetary benefits of exports. All markets are flawed. The market for natural gas is no exception. It would be, though, completely invalid to leap from that point to a claim that the DOE process should remain intact. The DOE lacks both the knowledge and the power to correct the flaws in the LNG market. Instead, its slow and opaque case-by-case process is a source of waste in its own right. It injects delay, regulatory risk, and administrative expense without any clear rationale for doing so. The U.S. LNG export issue, like all future major energy policy issues, must be framed in the context of addressing global warming in the most effective manner. The House of Representatives Energy and Commerce Committee policy paper does not do this. It is a myopic look at economic and geopolitical benefits that does not determine an optimal solution for the U.S. and world to solve the global warming problem. Natural gas is proposed to be exported as LNG to Asia and Europe to reduce coal-fired power generation there, thus presumably reducing global greenhouse gas emissions (as well as reducing other pollution). The problem that Prof. Howarth points out (I accept his expertise in emphasizing this troublesome issue) is that methane leakages into the atmosphere from natural gas production and distribution are a serious contributor to global warming — this issue can’t be ignored as most tend to do. Shale gas production has a number of environmental issues that need to be properly examined, including: methane emissions, contamination of undergound water sources, disposal of wastewater, and substantial water consumption. The EPA should objectively and fully address the risks/costs of fracking, and ensure that the natural gas industry is properly addressing the environmental concerns. The United States cannot encourage massive shale production for export if it will incur significant environmental damage at home and superficially address the global warming problem. Assuming the shale gas environmental concerns and other natural gas system methane emission problems are properly addressed, natural gas will be an important energy source in moving to a global warming solution. The U.S. needs to reduce coal-fired power generation and oil use in transportation dramatically over time to substantially reduce its CO2 emissions. Natural gas will be key in achieving this as a supplement to solar/wind electric power and an alternative fuel for vehicles. Increasing domestic natural gas use in these areas will require government policies that tax carbon, promote a new national smart grid focused on renewable power sources, and enable a new service station infrastructure to supply natural gas and other alternative-energy vehicles. Once such government policies are in place, domestic demand for natural gas would increase substantially, and it is unlikely that LNG exports requiring high natural gas liquefaction and shipping costs, will be economically attractive. That is, the market solution will likely be to use the natural gas domestically. Thus, I believe it is unwise to prematurely push LNG exports when the proper domestic environmental and infrastructure policies have not yet been established. At my organization, we’re not ones to obsess about trade deficits. While obviously trade produces immediate economic impacts for certain industries and individuals, overall the free flow of goods and services yields long-term benefits to both the originator and the recipient nations. Such is the case, in our opinion, with LNG exports. A December 2012 NERA Economic Consulting study commissioned by the U.S. Department of Energy examined 13 scenarios involving the impact of liquified natural gas exports. The study concluded that in spite of limited price fluctuations, ‘Across all these scenarios, the U.S. was projected to gain net economic benefits from allowing exports. Moreover, for every one of the market scenarios examined, net economic benefits increased as the level of LNG exports increased.’ Those total benefits could be as high as $47 billion by 2020. The conclusion of our article was, simply, why would the United States want to wage a trade war with itself by denying LNG exports? While we are not scientific experts on the environmental implications of LNG as a fuel, from an economic perspective the Committee’s report makes a great deal of sense. Let me state up front that I agree with the E&C report on natural gas export. I find it hard to dispute the report’s findings that we have significant volumes of natural gas in the ground that will provide for domestic needs and still allow significant volumes for export. The critical question on exports, however, goes to timing. Will the United States Department of Energy and the Federal Energy Regulatory Commission act expeditiously to approve export facilities? Are we going to engage internationally as a producer, after so many years as a willing consumer, or are we going to debate and delay until the market moves, as it always does, and leaves us behind? And make no mistake there is a risk of being left out of the growing global natural gas revolution. For proof, just look north to Alaska. During the early to mid 2000’s there was a renewed interest in developing a natural gas pipeline from Prudhoe to the lower 48. Natural gas prices at Henry Hub had bumped up from around $3 to on occasions hitting $12. Economists, and those who listened to them, were projecting $20 gas. The market conditions were right for the development of the multi-billion dollar Alaska Gas Pipeline. And the great debate began. How to get the gas to market was hotly contested. Literally years went by and no money went into the ground – for an infrastructure veteran the true test of whether a project is anything more than just an idea. In 2008 the Alaska legislature was warned that the window was closing on the AGP. In reality the window had closed. And now 35 trillion cubic feet of natural gas are stranded in the Arctic. So what is the outlook for natural gas export from the United States? Excellent, as the window sits today. But look at EIA’s world map of shale reserves. In short, shale gas is just about everywhere. We have the advantage of a technological head start but that cannot last forever. Taking advantage of our head start is the right thing to do for our economy and for our geopolitical positioning as explained in the Committee’s report. But the window is closing as others establish relationships in the international market. The alternative to acting quickly to authorize and construct the infrastructure necessary for export is to add to our reserves in Alaska that cannot find a path to market. And for those who question efforts to export natural gas on global environmental grounds – make no mistake natural gas will be produced to meet the growing market demand. So impacts associated with production, transportation and consumption of natural gas will occur. It’s is only a question of who derives the benefits from that production. Thanks for all of the valuable input. Many of the above comments reflect a long term energy policy problem. Those that promote exportation of natural gas and argue for less governmental interference by letting the “markets” do their job, ignore the fact that normal definitions of the market do not include the huge costs of maintaining a military to protect supply lines into the country and out of the country to our gas consuming customers. Market forces also seem to ignore the cost of climate change and the impacts of severe droughts, fires , hurricanes, etc and the cost of health impacts from fossil fuels. The market forces argument is far too narrow. On the other hand, those that would argue to severely curtail are present energy bonanza on environmental grounds seem to ignore the need for a health economy to pay for the very huge costs of a non-fossil fueled future. Extreme energy futures, like an all renewable energy future or an all nuclear power future or continued use of fossil fuels at high levels won’t work and the price of failure is extremely high. There are two pathways to environmental disaster: (1)Insufficient energy that can and has led to warfare which, today, not only kills people it can wreck the environment. Insufficient energy makes people in poor countries cut down trees which leads to soil erosion, floods, ad the spread of cholera. History shows that the oil embargo the United States placed on Japan years before WWII led to the attack on Pearl Harbor. (2) the other pathway to environmental disaster is the effects of GHG on climate change. Too many people just examine one pathway to environmental catastrophe. So both of these either-or arguments fail us. What is missing is an energy policy that deals with climate change and energy security. I urge people to think about the following numbers: 80-80-36: 80% of our energy comes from fossil fuels, 80% of our GHG comes from fossil fuels, and it is only 36 years until 2050 when , based on IPPC calculations, we need to be in a fossil fuel free world. Arguing that my energy source is better than yours is worse than folly, it is dangerous. Even if, somehow, all of our energy came from non-carbon sources, the energy these sources might not match the energy needs of the hundreds of millions to billions of end use devices which today reflect our 80% fossil fueled energy sources. As one small example, what would it take to replace all the gas ranges, hot water heaters, gas driers, and gas furnaces…all run off of a fossil fuel… by 2050? If one is serious about meeting the challenges of a non-carbon energy future, the emphasis must be on conservation, renewable energy, and nuclear power. Once you start thinking that way you begin to realize that there are enormous financial, infrastructure, and implementation problems, even if we all agreed on some mix of non-carbon energy sources. It is time to go beyond the either-or arguments and move onto the AND arguments: Conservation AND renewable energy AND nuclear power. Now lets start talking about implementation strategies. I would appreciate it if you would weigh in on the discussion in response to my post “Metrics for Comparing Alternative Liquid Fuels” that is ongoing now at OEP. I would like very much to have your perspectives. Some of them result in part from our exchanges of a couple of years ago. The key undercurrent of this debate is a fundamental redistribution of wealth/benefits. You will rarely hear anyone with a stake in the debate lay it out so plainly however. From a pure global economic perspective the choice to open up our energy borders and allow a significant increase in natural gas exports provides a global net economic benefit. Keeping the borders closed results in a dead weight loss of economic value. The problem comes when you analyze how those benefits are distributed. When allowing exports the demand curve is shifted to the right. This results in an increase in producer surplus (profits for natural gas producers and exporters), and an increase in consumer surplus from new foreign purchasers of natural gas (benefits for those who buy the exported gas). The hidden part though is there is a non-trivial DECREASE in the domestic consumer surplus (American consumers and manufacturers are hurt by higher domestic prices). Thus fundamentally the choice to allow exports is taking money out of the pockets of American consumers and manufacturers and putting it in the pocket of foreign consumers and the oil and gas industry. On net the benefits gained by the domestic oil and gas industry should be greater than the costs to domestic consumers, but it’s still a hard sell to tell people that their heating bill is going to go up even a few percent so that we can create more drilling jobs and profits for natural gas stockholders. Questions of how much the price will actually go up with increased exports? ie. what is the shape of the supply curve? How much can we export before domestic prices become more closely linked to global prices like oil, making domestic prices more susceptible to shocks overseas, and resulting in decreases in energy security at least from an economic perspective? What is the real long term supply of domestic natural gas? Note all those estimates assume current use, not continually increasing use like is actually occuring. When even mild growth in natural gas consumption are factored in the timeline shrinks significantly. Even if we do have 100 years of gas available though, why should we sell it to other countries rather than keeping it to ourselves? Note that individual shale wells deplete extremely rapidly and most drilling is in the sweet spots of most plays. What are the global net climate impacts from exporting natural gas? Intuitively it seems like exporting would be a net positive for GHG emissions, but it’s not 100% clear. Rep. Upton’s remarks, and all the comments posted here so far focus on the question of whether allowing exports of US natural gas would be desirable on undesirable. But what the discussion has overlooked is the more elementary question of whether permitting LNG exports would actually result in significant supplies of natural gas being exported. There are reasons to doubt whether allowing LNG exports as a matter of policy really would lead to substantial exporting in the near to medium term. LNG exports would require facilities and infrastructure that largely do not currently exist. Not only is there considerable expense involved in constructing such facilities. In the past, there has been considerable public concern about safety, environmental, and/or other hazards associated with LNG terminals in particular that has provoked active resistance, and made development of such facilities difficult and time-consuming. Hand-wringing over whether permitting LNG exports would result in crippling a resurgence of US manufacturing, increasing leakage of methane, displacing coal-fired plants in other countries, etc. should be calibrated to the actual extent and time horizon of resulting exports. Neither the worst nor best case scenarios some have posited seem very likely to happen any time soon. There seems little reason to believe that political resistance and regulatory delay attending the construction of major LNG export facilities would be any less than that which has confronted the Keystone XL oil pipeline. Arguably, the hurdles could be even greater. Given the likely delays in creating the needed LNG export infrastructure, the suggestion made in other comments here that there is only a limited window of opportunity for US natural gas exports to flourish — because of increasing natural gas production in other countries — deserves careful consideration. Even if they are allowed, even encouraged, is it possible that new LNG export terminals might, by the time they become operational, simply be another version of bridges to nowhere? Here is a rather convincing and lengthy report on “Seeking Alpha” on the subject of long term nat gas availability. There will be no world shortage of nat gas, and there will be plenty of LNG offered for export. Absent government interference, USA can compete in the international market. No question, there will be massive international trade and right now we look like the lowest cost producer; but only if we are allowed to produce. Do the events in Ukraine impact anyone’s opinion on this issue? It has been suggested that the unfolding situation is building support for expedited approval of terminals by DOE. Brad’s comment / question re the Ukrainian situation does raise the level of interest in exports. But a realistic observation would lead to the conclusion that any increase in USA exports will occur long (many years not months) after the Russians have dominated the situation because of their control over Europe’s gas (and oil?) supply. This should not be the basis for decision making, however, it may serve as reason to address the unreasonable permitting process. We need fewer lawyers and more engineers! To the issue of cost escalation. The cost of producing gas from shale at the well head in the lower 48 states, runs from about $2 to as much as $4 per million BTU. This production cost must be met, or the well will be shut in. Recent experience shows that this actually happens. Obviously when the price increases, experience this winter shows that gas production will increase, and the price will fall, especially if consumption is curtailed. The free market is working well! As potential for exports materializes the futures market will become an incentive for production increases. There is no need worry about supply meeting demand absent regulatory interference. Exports will not force a substantial long term price increase if the market remains free. Jack, certainly the market that you describe has worked the way a market is supposed to work … with the exception that many of us keep pointing out … Community costs, seen as health and environmental costs, are not included in current prices and until they are included price comparisons are apples and oranges. There are some fixes to one part of the market that could happen soon and would save social and environmental costs estimated at $4+Billion. These easy, inexpensive fixes are detailed in reports from the Environmental Defense fund and the NRDC. They would require the industry to stop methane leaks, currently estimated to be 2-3% of total gas production. The reports estimate that selling the gas currently lost at oil and gas wellheads and along the pipelines, would be worth an additional $2Billion in profits to the industry. The fixes would more than pay for themselves and would make a significant improvement to green house gas emissions. Methane emissions are 70-100% more damaging than carbon emissions. (Dr. Howarth’s explanation) Can we agree to fix the leaks before expanding exports? Can we write fracking rules before increasing the risks of additional drilling? Our ‘gas glut’ fossil investors, the companies who spent $185.6 billion on exploration and development of new domestic fossil fuel production in 2012, now want to build LNG terminals to sell the glut in supply overseas where the price is higher. What our gas and oil investors like Dominion and Exxon, and Putin too, don’t seem to realize is that the world is de-carbonizing, or maybe that is why they are in a hurry. Sixteen percent of German companies are now energy self-sufficient, a 50 percent increase from just a year ago and, as reported in the Wall Street Journal, another 23 percent of German businesses plan to become energy self-sufficient in the near future. Over the last five years, the top twenty utilities in Europe have lost half their value. Recent poor financial results, stranded assets and mass selloffs of power plants highlight how tough things have gotten for European power providers. Doesn’t look like they will need US or Russian gas for long. Wind, not coal or nuclear, is the new thing in China. The amount of new wind-generated electricity in China last year would almost be enough to power the entire state of New York, and in conservative Texas, the Austin City Council approved a long-term wind power contract that will not increase customers electricity bills and will allow Austin’s city owned utility to reach it’s goal of 35% renewable sourced production four years ahead of schedule. Will whatever new fossil infrastructure we build end up as stranded assets?